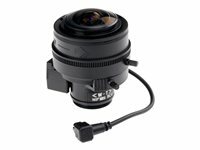 The varifocal lens is a light, compact manual iris lens, with an aperture equal to F1.6. The lens can be used to control the iris for fine tuning e.g. against flicker problems in fluorescent illumination. 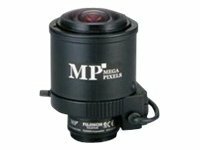 The Manual Iris Varifocal Lens 2.4-6 mm is recommended for use with AXIS M1103 and AXIS M1104 Network Cameras.